Have you ever judged someone simply by a book? By something on her shelf, by something he’s recommended you read? It’s not foolproof, of course, but I think it can be a pretty effective way to, well, get a read on a person, too. So before I arrived in Gettysburg on Wednesday for the Alumni Association’s Penn State Civil War Battlefield Study Tour, I had a mental picture of the two faculty leaders, Terrence Winschel ’77, who just retired as the chief historian at Vicksburg Military Park, and Parker Hills, a retired brigadier general who’s been giving battlefield tours since 2001. I’ve spent the past week or so tackling the trip’s reading list, which, I admit, I assumed would be a little dry. I love history, but military history? The little I’ve read was difficult; despite hearing my dad and my brother, both Army veterans, talk about that stuff, I just could never picture what was going on. Often, honestly, I tuned out. Well, all of the books on the reading list for Gettysburg were terrific. I found myself reading paragraphs out loud to my husband over the breakfast table and marking particularly eloquent or interesting passages with a Post-It note. Each of the authors is a true storyteller … and as a writer myself, that’s pretty much my highest compliment. So I figured anyone who chose those books would be storytellers, too, and boy, was I right. Terry and Parker had my colleagues from the Alumni Association’s travel and education staff cracking up Wednesday night at dinner, and afterward, they told me they didn’t want anyone to feel as though they were slogging through homework as they prepared for the trip. Mission accomplished. 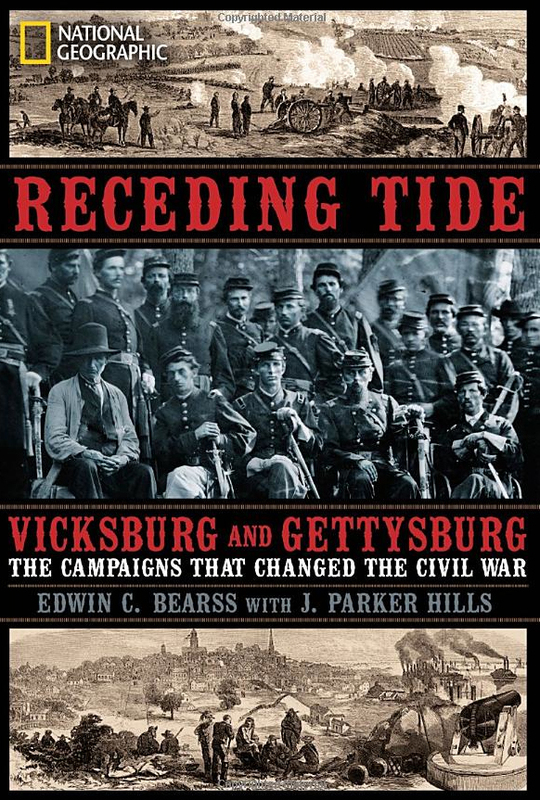 I’ve read five of the six books (I skipped Edwin Coddington’s The Gettysburg Campaign only because it was billed as “for those who have already mastered the basics”), and I’ve loved all five. Just gripping reading. 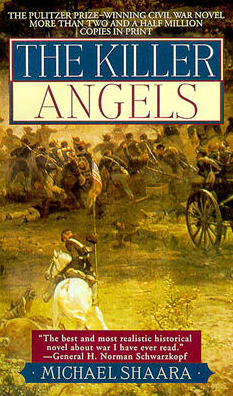 The list: Gettysburg by Stephen Spears, Stand Firm Ye Boys from Maine by Thomas Desjardins, The Battle of Gettysburg by Frank A. Haskell (a 20,000-word letter written by a Union lieutenant), Receding Tide by our instructor Hills and Edwin C. Bearss, and The Killer Angels, a novel by Michael Shaara. A novel? Even a Pulitzer Prize-winning one? Turns out that when Hills was in Advanced Officer Training, the book was required reading. It’s that good. I’m tagging along on this tour because I’m working on a story about the 150th anniversary of the battle, which took place July 1-3, 1863, and the 20th anniversary of the Alumni Association’s incredibly popular study program. Last year’s tour, also to Gettysburg, sold out within 30 minutes; 110 people attended, and there was a waiting list of 60. So the tour, which usually visits a different battlefield each year, is back in Gettysburg this weekend. We’ll be spending every morning in the classroom, every afternoon on the battlefield. Everyone got acquainted at the hotel Wednesday night, and this group includes a woman who’s never missed any of the 20 tours, a handful of people who have attended 14 to 17 tours, someone who’s been to Gettysburg more than 50 times, and a bunch of people who developed a love for the Civil War on summer vacations back in the day. Good thing I did the reading. While I’m not exactly a Civil War novice—my first full-time newspaper job was in Petersburg, Va., where I ran in the Petersburg National Battlefield weekly with a local running group whose members tutored me on the local history, and I’ve twice before visited Gettysburg—I certainly can’t keep up with this group. I can already tell the reading will pay off. Between the front door and the front desk of our hotel, there’s an Original Civil War Model 1861 3-inch Ordinance rifled muzzle-loader cannon. I couldn’t identify it because of the reading, but from the info card, which also told the story of how an identical cannon (serial number 86, as opposed to the 84 in the lobby) was used by Lt. Col. Freeman McGilvery’s battery in the battle. That was a name I recognized. I’m hoping for more such moments over the next four days, and I’ll be blogging daily about the study tour. And I’m crossing my fingers that there won’t be a quiz. Entry filed under: Alumni Association. Tags: Civil War Battlefield Study Tour, Gettysburg, Parker Hills, Terrence Winchel. Nice to know about the books. My niece is a Civil War history buff and loves Gettysburg. Maybe I will look into one of these for her Christmas present. Enjoy the weekend. My husband, Bob Goodwin, and son, Sean, will be Reenacting at Gettysburg with USV 104th. LOVE Gettysburg…try to get out there at least 2-3 times a year! Something very mesmerizing about the place…while there you MUST eat at the Dobbin House Spring Tavern and GET THE FRENCH ONION SOUP! AMAZING! The new visitor center with repaired cyclorama is GREAT! Just a fantasic place to go, but have to stay at least three days to see everything! colleagues concerning this article, while I am also zealous of getting knowledge.